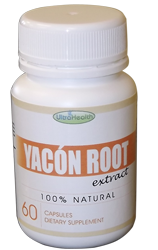 Yacon, also known as the Peruvian ground apple, is a plant native to South America and grown for its crunchy tuberous roots, which are known to contain medicinal properties. Yacon is used for: its ability to control of blood sugar levels, control of cholesterol levels, help with weight management, lower blood pressure, improve the health of the liver, prevent certain types of cancer, boost digestive health, and strengthen the immune system. Our capsules contain 500mg of Yacon root extract 10x Strength. Take 2 capsules per day. Each bottle contains 60 pills. 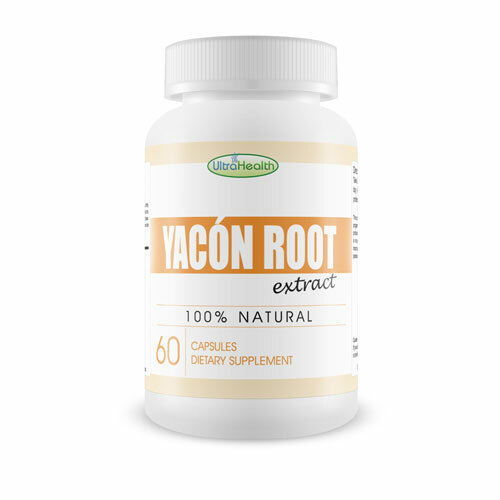 Yacon is well tolerated by the body, however if you experience any you should stop taking immediately and consult your doctor or health care professional. Excessive amounts of Yacon can cause diarrhoea, bloating and gas. No. You do not need any prescription, or doctors visits to purchase Yacon. However, if you are on medication or suffering any serious health issues check with your doctor first.